No matter where you live in South Dakota, your community depends on livestock production. Agriculture is the lifeblood of South Dakota. Our state’s young people are reviving the agriculture industry, one agricultural operation at a time. And that means driving the state’s economy and providing high quality food products for local consumers. 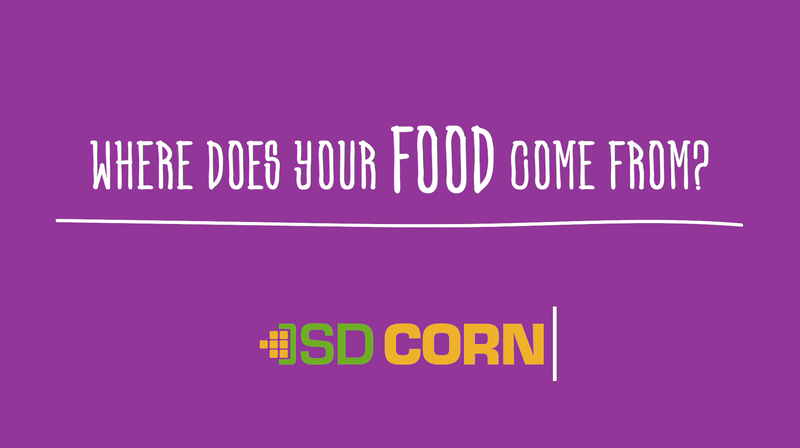 In South Dakota, 98 percent of farms are family owned and operated. Keeping the next generation involved on the family farm is a tradition that farmers value. Many things have changed in the ag world from the tractors to the technology, and so has the amount of education needed to run all aspects of a farm in today’s world. When that next generation steps back into the family operation, they are college educated, tech savvy and energized with an entrepreneurial spirit. They are exploring new ways to improve crop production, use precision technology and invest in new business opportunities such as livestock production. Young people returning to the farm have a firm grasp on what consumers want—and are adjusting livestock-rearing practices to better provide what consumers will purchase. Justin knows about this firsthand. After a year attending SDSU, Justin joined his family on their operation and before long built a new hog barn. Because the Rothschadls grow corn and soybeans, they’re able to grow much of the feed they use for their hogs. “With extra corn, we’ll take it to an ethanol plant and get DDGS (dried distillers grain, a co-product of ethanol), which gets mixed into our hog rations.” Justin takes most of his soybeans to an elevator, where they’re milled for feed, which he then uses to feed hogs. During fall, we often see huge piles of grain outside elevators scattered throughout farm country. That’s harvested beans and corn—which is being shipped out of state, mostly by rail. Keeping that grain in South Dakota is preferable, however, because it keeps dollars here at home. “We keep that dollar local and circulating locally,” Justin says. Livestock production provides the mechanism for keeping the dollars in South Dakota. “The elevator, the ethanol plants, the processing plants, the construction companies, the veterinary services, the hardware stores and the trucking companies all hire local,” Justin points out. South Dakota’s larger cities also get a boost from in-state dollars. Those living in Sioux Falls, Rapid City and Aberdeen may not even realize how much they benefit from agriculture and livestock production. The fact is, beef production alone accounts for one-third of the state’s ag economy. And agriculture continues to shine as the state’s leading industry—ahead of tourism, service, retail trade and manufacturing. Another reason to support livestock production in South Dakota is that many consumers want to buy from local producers. “I’ve had more and more people ask about buying hogs right from the farm and taking them to the local locker,” he says. Justin was named a South Dakota Master Pork Producer in 2015 in part because his hogs are “raised right.” He focuses on each pig as an individual and provides an excellent environment where pigs thrive. If you have questions about livestock development and how it helps the state’s economy, feel free to call the office at 605-334-0100.